Has Boeing taken the 737 too far? Boeing recently announced the 737 max 10, supposedly going to be a new MoM plane or trans-continental plane. Due to its range and stretched fuselage, it will probably be doing routes that a 757 would do. I think the 737 is being asked to do things it was just not meant to do. The 737 was designed in the 60's as a low capacity short haul regional jet, not a transcontinental plane. I understand the modernization of the 737 in the 90's, but I think the max 10 is a bit far. There were even problems during the MAX's development including the engine size, that meant making the gear longer, but it was to big it couldn't retract. Don't get me wrong, the 737 is a great airplane and it is great at what it does, but did is Boeing really trying to use it to replace the 757? Re: Has Boeing taken the 737 too far? It is an inexpensive way to regain the market share that A321 has pretty much kept for itself. If they had not launched it, Airbus would literally own 80% of that segment. I do believe it was a good call to get the 737-10 launched. 4. Yes they are using the 737 to replace the 757 on all routes except TATL and etc. 5. The answer to your title, No because they have sold nearly 4,000 737 MAX aircraft so airlines clearly have no problem with the aircraft. It's designed essentially as a placeholder to stem some of the A321 tide, it's not a better aircraft overall, but it doesn't need to be to do what it's intended to. The MOM if launched will take way some of the pressure, especially on longer routes which the A321neo will come to be very widespread on. Just curious, where does Boeing say the Max-10 is the MOM???? Please note that the cited article is almost one year old. I do not find the link, but there was a thread about it. I get that, and that these new max planes are preventing Airbus from dominating the middle of the market. The thing i was trying to point out is that the 737 is basically a whole new airplane now. Also, I thought that the supposed 797 would be the 757 replacement. Capacity wise, the 739ER is a near perfect, far more efficient replacement for the 757. Transcontinental, the 739 is a money maker for UA DL AS. The 7310 will be even more optimized for the role. Most importantly for Boeing, the A321 is an awesome 757 replacement too. There is no incentive for Boeing (or Airbus) to come develop a clean sheet when iterations will do the trick. The market aspect to look at, is airlines are operating larger and larger planes. The reason is more revenue potential with limited increase in operational costs. 737-7/A319 are too small. 738/A320 are the low end of the sweetspot now. Lastly, the 737-10 isnt flying yet but has 100s of orders, throw everything above what I said out the window, and the market is accepting the plane. You weren't looking at the MAX 10's range or you misread them. Last edited by ikolkyo on Sun Sep 24, 2017 6:22 pm, edited 1 time in total. I see. Thanks for clearing that up. But what I'm not understanding is how this plane can do something it was not made to do? It's 2017 now.... The only thing the MAX has in common with the original 737 is the overhead panel in the cockpit and the fuselage. Hell even the tail cone is different on the MAX. What I'm trying to get at is it's not the same plane, it has new larger wings w/ larger fuel tanks , winglets , MUCH more efficient engines and etc. With your logic, a HGW A330-300 should only be doing the mission of the A300. Your right. Sorry for all the confusion. I guess the 737 is very adaptable, hence surviving for nearly half a century. Airplanes aren't people or animals that have inherent limitations. It is a machine. It is a machine that has had many modifications over the years. Bigger wing, bigger gear, bigger fuselage, bigger engines, bigger tail, modernized flight deck, modernized interior, upgraded pneumatics, upgraded flight controls, etc. some times it is more cost effective to modernize and upgrade than start new. The 747 is still in production and almost as old. By the time the A320neo program is over, it likely will be a 50 year old design too. Every airplane is adaptable. It is much easier to increase weight and capability than shrink it. The 757 had too large of a wing for modern runways and engines. It would need to shrink, which is extremely difficult. The DC9 went through an incredible transformation. I think the biggest setback is its short height from the ground (which wasn't a problem for the original models that also bearded smaller JT8Ds), so the stretches have been problems in terms of clearance and COG, mostly notable on takeoffs since they can't rotate at a wide enough angle to get more lift from the angle of attack. So, essentially, as I understand it, the airplane is uncertifiable today if it were a clean sheet design. I'm sure others with more knowledge on the topic can elaborate further. I'm sure some of these 1960s throwbacks have forced Boeing to either not wish to push ahead with, or abandon plans to make other changes to the frame. As I recall, at one point in the early-2000s(? ), Boeing wanted to graft the 757 nose onto the 737, as it is more aerodynamically efficient. The FAA shut them down, as that would have gone beyond what they were allowed to do in terms of modifying/upgrading the airframe - and would have forced Boeing to recertify the plane as an entirely new type. At what point is the plane no longer a 737? I've heard that structurally speaking, even down to the stringers and framework, that newer 737s are completely different than the original birds - and of course, every single one of these changes would have to have been certified. It's just staggering to me that with 50 years of variants, and the plane coming off the production line now bearing little resemblance to what came off the line originally, that it is still eligible under its original certificate. But... landing gear stretches? For yet another re-engine project? And another wing modification? And another stretch? At what point is it 'a new design'?.... that should need to go through the full battery of certification trials? They stretched the nose gear 8" for the 737 MAX and the only wing changes were the engine pylons and the wingtip device. It's still the 737NG wing. Qualification by similarity is an acceptable certification method. It is a new design if it needs a new type certificate. If the FAA issues an Airworthiness directive, they can force modifications to a design for any new requirement. Umm, you DO know that the whole MoM concept is getting its own plane with 7500km range right? You know, LITERRALLY THE SAME DAY THE MAX 10 WAS LAUNCHED! And the 10 is to optimise fleets and to take some of that market share of the A321neo, not compete with the A321LR, which is the 757 replacement by Airbus. As already noted, the -10MAX only replaces the 757 on a subset of missions. Thanks to numerous engineering improvements (LEAP engines, scimitar winglets, and lots of little improvements that cut the maintenance bill), you now have a plane with a far lower cost per flight capable of doing 90% of 752 missions. 2. 3,200nm range isn't 3,900nm range so TATL is off the table too. This sums it up. The -8 MAX was the only MAX selling in volumes that would interest leasing companies. Boeing looked and saw via a landing gear change (an expensive bit of engineering) that they could improve field performance and put in more seats. To others, this plane will handle West Coast US to Hawaii better than the 738, so it opens up missions. This plane will have about a 20% lower cost per flight than the 752. I will be surprised if less than 2,500 -10 MAX are eventually sold. 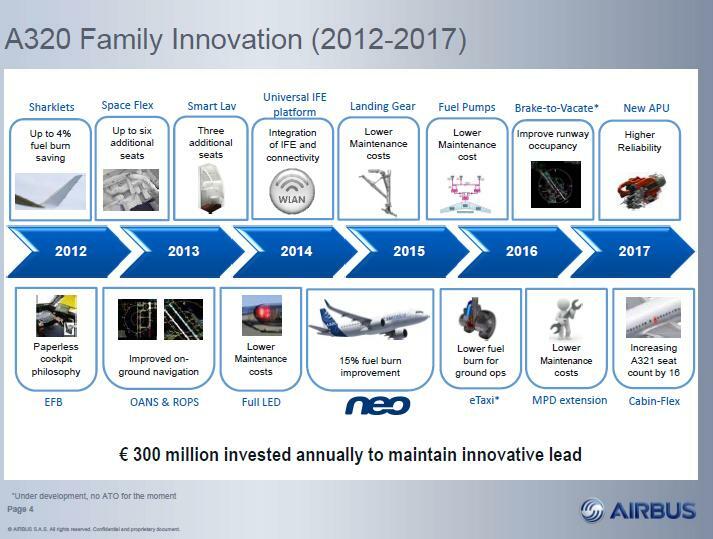 For the record, I've predicted eventually 70%+ of NEOs will be A321s, so if less than 4,000 A321NEOs (including LRs) are delivered, I will also be surprised. In Asia alone, a hundred million new fliers (people who have never flown before) take to the skies every year. To accommodate that growth, narrowbodies must haul more people per flight. Before the -10 MAX, that market was owned by the A321. We focus on 752 replacement here on a.net, but don't forget that for every seat added for replacement, one is added for growth. And this isn't a market for dueling pistols, replacement doesn't have to be exact. We'll see 738s and A320s replaced by -10 or A321s. We'll also see A321s replaced by multiple -8s. While I've done simulations of air transit, I think the simulations I did of bacteria propegating in a Petri dish back in elementary school are a better analogy to how aircraft spread. The difference is aircraft production is caped at a linear growth rate and the market grows exponentially... Dare I admit I learned programing on a TRS-80? The MAX and Neo series will definatly fit in the long range domestic and Pacific routes. Not really the true 757 replacement aircraft, but just enough to cover within the boundaries. We even see some widebodies that do domestic runs get replaced (Like Delta and American). Can't wait to fly on both aircraft to experiance the two myself. If the world of innovation and technology used your methodology, I would be sending this message to you via teletype and using an abacus for basic computations. The 737 is a capable and solid design. You must recognize that amongst other things, airlines *do not* purchase aircraft to satisfy the longings of aviation enthusiasts. If they did that, Delta would still be flying the L1011, the Concorde would be flying Las Vegas to Los Angeles shuttles for Pan Am and the 727 would still be in production. What you complain about is progress, pure and simple. The 757, while perhaps a beautiful and capable airplane, is dying a slow death. It is what it is. Boeing knows what they're doing. We on a.net are just passionate observers. it is a "my grand, grand, grand fathers ax" thing. We've replaced the haft 4 times, the head 3 times but it is still "My g³fathers ax". Not much of the original 737-100 remains. But it still is the same airplane by its certification. Same type certificate does not mean same airplane by its certification. Type certificates can be modified and amended just like airplanes can be modified. The 737 actually still has some parts that remain unchanged from the 727-100 on it believe it or not. You're right. Boeing has been around for 100+ years, so they probably know what they are doing. I have faith in them. But one more question, will the supposed 797 be cancelled when the max 10 comes out? Boeing has been studying replacing the 737 pretty much as long as there has been a 737, and so far, the decision was that it makes more sense to perpetuate the 737 line rather than to kill it, much to many people's consternation, if not disgust. However, the great safety record and the thousands of sales prove that Boeing has NOT taken the 737 too far. No 797 exists, so it can't be cancelled. I think Boeing should pursue both options ie., increasing 737 range and shrinking 787.size Both should be done in an evolutionary fashion without sinking dozens of $$Billions on a clean slate design. NEO/GTF issue is a blessing in disguise, hope B can hold onto it. I think both A & B will build what LHLCCs wants ie., maximum range with minimum floor space. In the past legacies demanded more floor space for premium passengers, legacies not able to sell premium tickets. What I find most ironic is that the 757 came later than the 737 and yet died earlier. The 737 has been in production over twice as long as the 757 and is still in production. Perhaps the 739 and 73X wouldn't be here today if Boeing had updated the 752 in the late 1990s instead of developing the 753. But I digress, this topic has been beaten to death. This question sounds so wrong. You could make the same argument using Airbus. Like is Airbus taking the A320 family too far since the Airbus A320 is a 1980 aircraft that has been here for more than 30 years, or is Apple taking things too far by releasing a new iPhone since the iPhone is a 10 year old design, or is both Airbus, and Boeing taking things too far by building planes that are too similar to what the Wright Brothers were flying over 100 years ago. Things evolve, and things change. If things aren't broken then don't fix it. Boeing could have built a whole new plane, but why ruin something that already works well, and still has life in it after some updates? In any case the Boeing 737 MAX 10 isn't even a replacement for the Boeing 757. It is meant to compete with the Airbus A321, and the Airbus A321 neo. It will do a great job doing so since it the plane is a modern aircraft with modern upgrades from a 1960 design. The Boeing 757 replacement is supposed to be the Boeing 797. Boeing will eventually stop producing the Boeing 737 in the 2030 decade. Airbus will stop producing the Airbus A320 around the same time to replace it with newer aircraft that will be more efficient. Southwest nixed the idea of using the 757 nose, because they would have had to stock all new spares. I'll keep digressing for you...imagine if it was the 727 that lived on and not the 737. While completely impractical for so many reasons, it would be nice to the the t-tail gracing the skies of nearly every airport again. Back to the topic - I think many here have summed up the reality quite nicely. Boeing isn't done modifying then 737.. look for the 737SUPERMAX with a new wing in about 6 years. Too low: For both the engines and the tail. Too loud: Inside and out. Too skinny: Hurts to sit and hurts boarding times. Too thirsty: Hurts range and economics. Too ugly: Nose looks dated and is the reason for the god-awful cockpit ergos and noise. Just too compromised of a basic design, so a 30 year old design is eating it's lunch. In the bread-and butter market, Boeing has become who they bought ~20 years ago, and for the same reason. The 737: One of the best things of commercial aviation in the 20th century, and the worst of the 21st. Thank you for clarifying this point for me - I was under the impression there had been many more aerodynamic improvements and changes made to the wing structure than just the winglet/scimitar tips. A minor correction: the split scimitar winglet is an aftermarket modification for the 737-700/-800/-900 offered by Aviation Partners Boeing. Among the modifications are a new scimitar-shaped tip to the standard blended winglet, and the addition of a strake attached to the underside of the winglet. The strake has a smaller root chord than the blended winglet. So noted! Great article on the factory winglet there - thank you. I don't get the hate for the 737. As a passenger, I've not felt it any more uncomfortable than an A320. Have never found a non avgeek that could tell the difference. It's performance rivals, and in some cases exceeds, the A320, and its operating economics are competitive with the Airbus and profitable for the many airlines that fly them. As far as safety and certifications go, with decades of service as the best selling airliner ever, with the NGs having a great safety history, the planes record validates the soundness of the design. Yes it's a bit old. But sometimes there's something to be said for tried and true and not fixing what's not broken. Good post. it actually triggers me when people call the MAX's AT winglet a scimitar. Boeing missed a good opportunity by not calling it the 737 Yet Another Re-engine Project - the 737 YARP! Long answer: Absolutely. 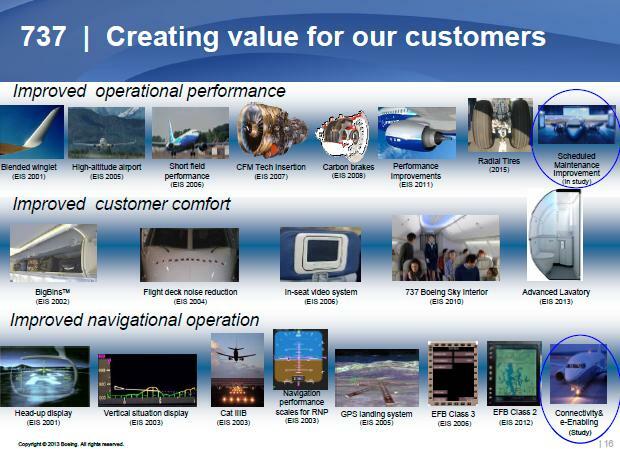 Innovation is dead at Boeing since the 787. Can't wait for the MAX11. Then the MAX12. Then MAX13, MAX14, etc until eventually the cockpit will be in Boston and the tail in San Francisco. Cross country, 0 lbs of fuel! Super efficient!